Dog owners can be held liable when their dog attacks a person or their pet, according to section 2(1) of the Dog Owners’ Liability Act, RSO 1990, c D.16. Dog owners can be potentially on the hook for large monetary damages payable to a dog bite victim. Section 2(3) of the DOLA provides that damages may be reduced if the victim was somehow negligent or provoked the attack. Dog bites can cause mere punctures to the skin or cause a victim serious and debilitating injuries, both psychological and physical. In addition to physical trauma, victims often face mental stress and anxiety which become worse when facing loss of income and huge medical bills for treatment received because of the dog bite and attack. 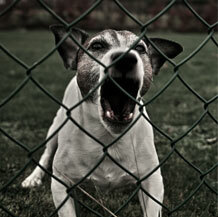 Dog owners may be liable for mental damages if their dogs attack someone and they are injured emotionally. For example: Somerville v Malloy, 1999 CarswellOnt 3557 (WL Can)(ONSC),  OJ No 4208. Mr. Somerville, 49 years old, was at a dinner party with friends. He brought his dog “Chico,” a 3 pound Chihuahua. The hosts’ pit bull attacked Chico in front of Mr. Somerville, biting (and almost eating) the Chihuahua twice. Mr. Somerville was bitten by the pitbull as he tried to free his pet. Chico the Chihuahua died the next day at the veterinary hospital. Damages were awarded for mental suffering. McLean v Thompson, 2011 BCPC 15 (CanLII), 2011 CarswellBC 320. Ms. MacLean, 57 years-old, was bitten twice by a large wolf-dog. She suffered two puncture wounds on each thigh with bruising and persistent pain. Ms. MacLean required surgical intervention under local anaesthetic to remove a 2.6 cm subcutaneous mass more than a year after the injury. Both wounds remain sensitive to pressure. Ms. MacLean was unable to work for two weeks and she developed post traumatic stress disorder (PTSD), resulting in persistent anxiety towards dogs and a crippling phobia. In both these cases, the victims’ psychological injuries far outstrip their physical injuries. Indeed, both victims were diagnosed with permanent mental distress. These psychological injuries were accepted by the court as a head of damages, which the dog owners were liable to pay. Conclusion: psychological injuries caused by a dog bite or a dog attack could give you a right to sue for damages. Our Ottawa personal dog bite lawyers handle dog liability cases every day. If you or someone you care about was injured in an accident, please contact one of our lawyers for a free consultation. We work on a no-fee-until-you-win basis. Call us at 613-315-4878. ← Falling ice – Slipping on Ice and Snow – Ottawa Slip and Fall Lawyers – Know Your Rights!